Hi! 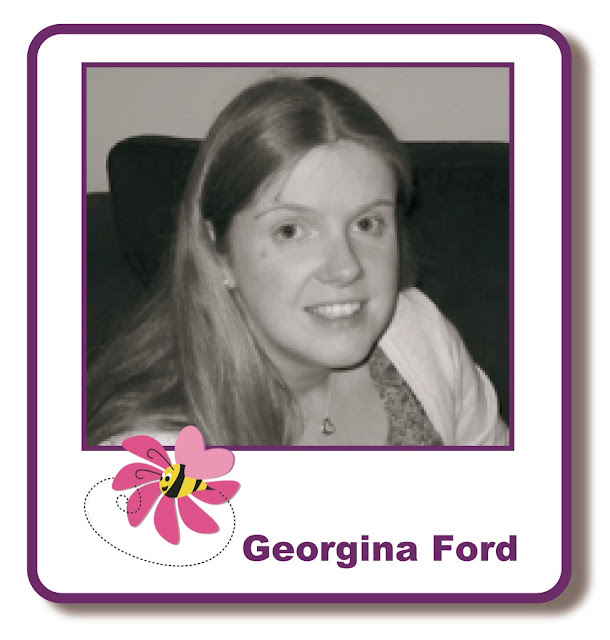 It's Georgina with my Friday blog post. Today I have a festive Christmas tag to share with you. 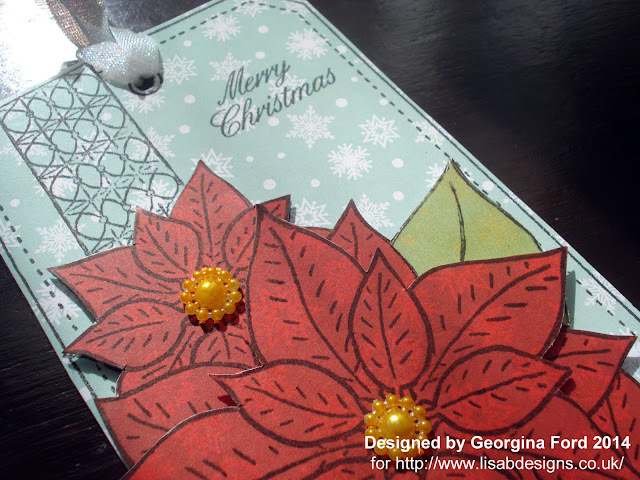 The stamp I used for the tag is from my own range Designs by Georgina and is called Poinsettia tag. This stamp is available from Lisa B Designs. To make this tag I stamped the design onto various patterned papers from Hobby House. For the main tag I used Aqua Flakes. The Poinsettia flowers were stamped onto Red Cascading. The leaves were also stamped onto Aqua Flakes paper which I lightly coloured with Peeled Paint Distress ink pad. The ink pad I used to stamp the design was a Oynx Black Versafine ink pad. I cut out the flowers and leaves and attached them to the tag. I stamped the large flower again and cut out the centre section which I added to the tag with foam pads. To the centre of the flowers I added a single flower from Pearl Flower String. I coloured the flower with a gold ProMarker. Yours stamps are lovely and perfect for all types of crafting, love your tag. ..
That's lovely. I love your stamps very nice to work with. Very pretty tags , and agree with all the other comments. Fantastic. Love your stamps Georginia. 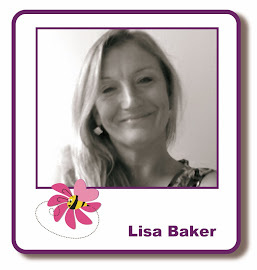 So lovely to work with. Beautiful tag. 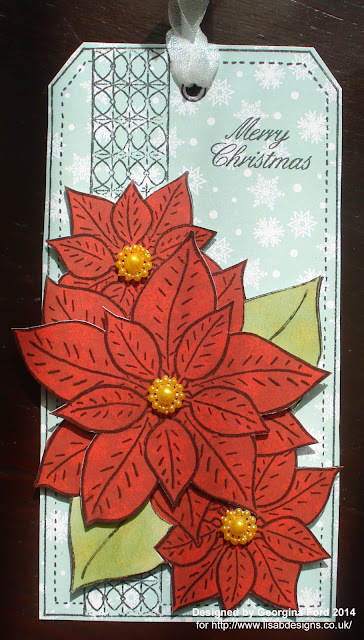 Love the poinsettia stamp.